Main draw for BNP Paribas Masters in Paris! The draw for the BNP Paribas Masters was made in Paris on Friday. The ninth and the last ATP World Tour Masters 1000 tournament of the year starts on Sunday November 8th, and will be played for €2,750,000 prize money. Forty eight players will take part. Sixteen seeds (1-16) get BYE in the first round. Novak is no.3 seed, right after Federer and Nadal. He will begin his quest for his fifth Masters title in the second round against the winner of the match between Frenchman Jeremy Chardy and Argentine Juan Monaco. Meeting Federer (SUI,1) is not possible before the finals. Andy Murray (GBR,4), Juan Martin Del Potro (ARG,5), Fernando Verdasco (ESP,7), Fernando Gonzalez (CHI,10)… are also in that part of the draw. 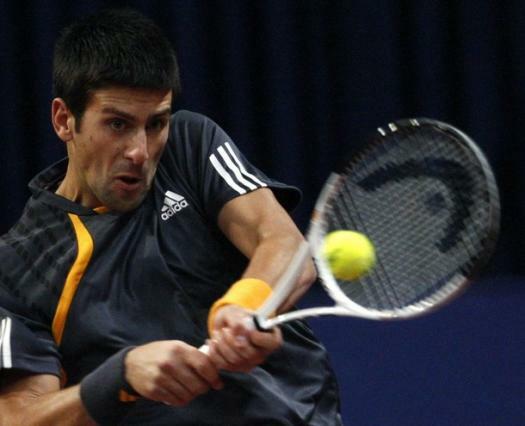 Last year Novak lost already in the third round to eventual champion Jo-Wilfried Tsonga 4-6, 6-1, 3-6. The winner of the tournament will get 1000 ATP points and €450,000.